1 Year Later... 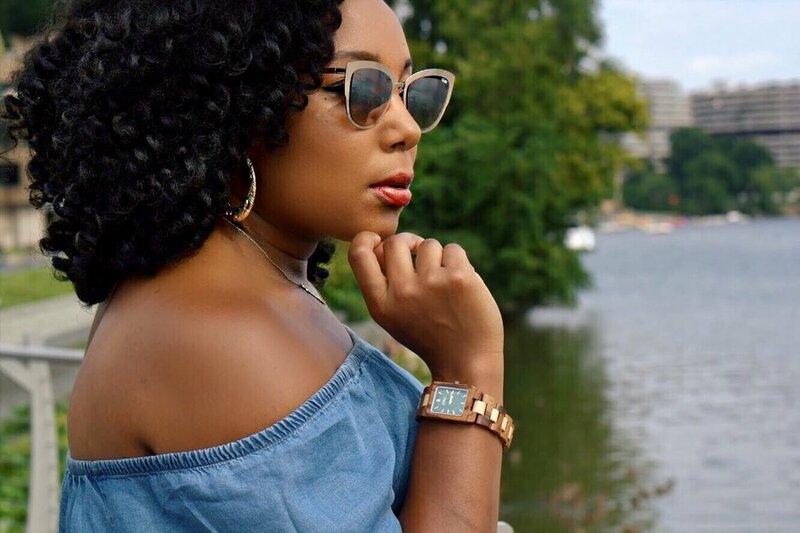 Reflecting on Chasing My Passion with JORD Watch & a GIVEAWAY! Time is so precious and such a gift. Yes. However, it still rings true. This week will mark the 1 YEAR anniversary of me leaving my J-O-B. My "secure" 8 to 5 that I had been at for almost 10 years. I still can not believe that I left. I feel so much freer than I have ever felt before. When JORD Wood Watches reached out to me to collaborate I felt like it was perfect timing. No pun intended! I am in a season of reflection and ACTION. Has any of these feelings crept up when you decided to venture out on a new journey? I had all of these feelings consume me at some point when my husband (The Mister) and I decided that it was time for me to leave my job. I wanted to pursue my blog/influencer career. I was no longer GROWING and GLOWING where I was. It had been a dream of mine for over 3 years to leave. I just wasn't growing these and my gut had been telling me that I was being called to a different purpose. To be honest, I wasn't ready 3 years ago. Timing is indeed EVERYTHING. If I had left my job 3 years prior I would have probably wasted an opportunity. My husband and I wouldn't be as blessed and fruitful as we are now. As much as it SUCKED in the moment to stay somewhere where I was literally emotionally and physically uncomfortable we had to wait until it was the right TIME for me to leave. Once the time came for me to leave I couldn't believe it was happening! You ever ask for something for so long and you FINALLY receive the gift you don't know how to receive it!? That's what happened to me. Instead of just ripping the bandaid off I tried to pull it off little by little each day. I told The Mister I'll leave after Labor Day. At the time it was the last week of July. He said, "Why? Put your 2 weeks in now!" Lol. Seriously, I had been working since I was 12 years old. I always had a job. However, if you want something to change you often time have to step out on FAITH. Do something radical. You'll have to sacrifice SOMETHING to eventually gain EVERYTHING you want. I left this week, 1 year ago. I have been blessed beyond measure ever since. I'll expound more in a future post because the awesomeness that has happened to me in the last year I can't even explain. I still do this on some level EVERYDAY. Now, I am in a season of fine tuning my schedule. I am working towards respecting my own time because how will anyone else do so if I don't. I am still a work in progress but I am so thankful. Thankful that I was blessed to have the opportunity to CHASE my Passion because many people don't get to say that. Don't forget to... Like | SHARE | Comment below & Subscribe Here! 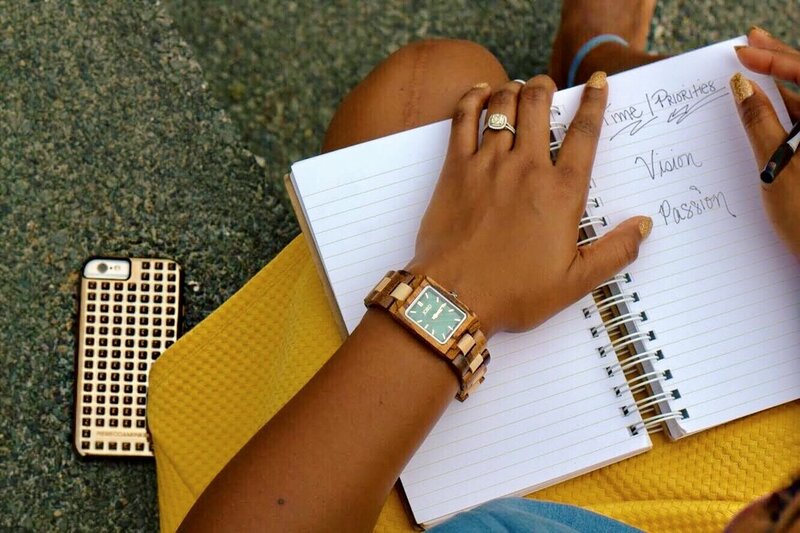 ONE Lucky Person will WIN a $140 Gift Card to use towards a JORD Wood Watch! Don't worry, if you don't win the Grand Prize you will receive a $25 OFF gift code. Where would you want to be 1 Year from NOW? 3. CLICK the button below and enter to WIN!